Barcelona, ​​June 26, 2017. At its annual meeting held today at the new Barcelona Institute of Science and Technology (BIST) headquarters (the Escola Industrial), the BIST Board of Trustees, chaired by Andreu Mas-Colell, approved the appointment of Gabriel M. Silberman as the new BIST General Director. In addition, the Board approved the expansion of the BIST Foundation with the incorporation of the Institute for Bioengineering of Catalonia (IBEC). 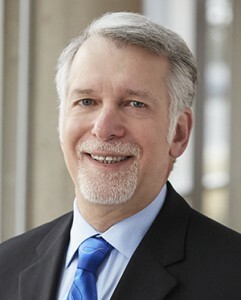 Prior to joining BIST, Gabriel M. Silberman was Senior Vice President and Chief Scientist of Cerebri AI, a company developing artificial intelligence products, and an Adjunct Professor in the Department of Computer Science & Engineering at Texas A&M University. He brings with him extensive experience in the intersection between public and private research. Silberman replaces Miquel A. Pericàs, ICIQ Director, who was, throughout the past year, also responsible for the management of the BIST. Miquel A. Pericàs has presented to the Board of Trustees an exhaustive report on the work carried out during the last 12 months, highlighting the deployment of the organic structure of the BIST, with the incorporation of a high-quality team, the institution’s strategic projects in the fields of Chemical Biology and Advanced Microscopy, and the promotion of collaborative multidisciplinary research between the BIST centers. He presented, in a very positive light, the high quality of projects that were selected for the first edition of the Ignite Program, intended precisely to promote the implementation of the aforementioned collaborative projects. Pericàs also particularly emphasized the success of the BIST Founding Conference, held on March 31st, in terms of its very relevant speakers, and the implementation in collaboration with the UPF of the first Master of Multidisciplinary Research in Experimental Sciences, for which classes are scheduled to start this September. “We have only taken a few steps, but firm and in the right direction. The challenges that I leave on the table of the new Director are ambitious and complex, but we have an enthusiastic and committed BIST community, which now grows in capabilities and potential with the incorporation of a new center of excellence, IBEC “, said Miquel A. Pericàs. The President of the BIST Board, Andreu Mas-Colell, stressed the importance of two milestones achieved this year. First, he spoke of the approval by the European Union of the two projects submitted by the BIST to the Marie Skłodowska-Curie COFUND call, through which 10 million euros will be received in the next five years to fund 28 pre-doctoral research fellowships and 61 postdoctoral fellowships. “These programs reinforce our ability to attract international scientific talent, which is the key piece of any project that, like the BIST, aims to boost the excellence and social impact of research,” said Mas-Colell. With the incorporation of IBEC, the BIST Community expands to 2,347 people, 40% with international origin and 43% of which are women. The expanded BIST has 147 principal investigators, 565 postdoctoral researchers and 588 predoctoral students (PhD). IBEC brings to BIST its expertise and research excellence in the juncture between biology and engineering in areas such as the design of nanodevices for drug delivery, biosensors, cellular engineering, biomimetics, and regenerative medicine, among others. IBEC, which, like all other BIST members, is accredited as a Severo Ochoa center of excellence, has 11 grants from the European Research Council, which were received by its researchers between 2007 and 2016.